Christina Potter, author of Insider Training, was featured in an Associated Press article on Monday along with her dogs Chester, Hudson, and Morgan. These canine stars have appeared in feature films (Our Idiot Brother), on television (Saturday Night Live, Project Runway), in advertisements, commercials, and more. The AP article explores several Westminster Kennel Club dog show competitors who also work as show business performers. Read the full article here. 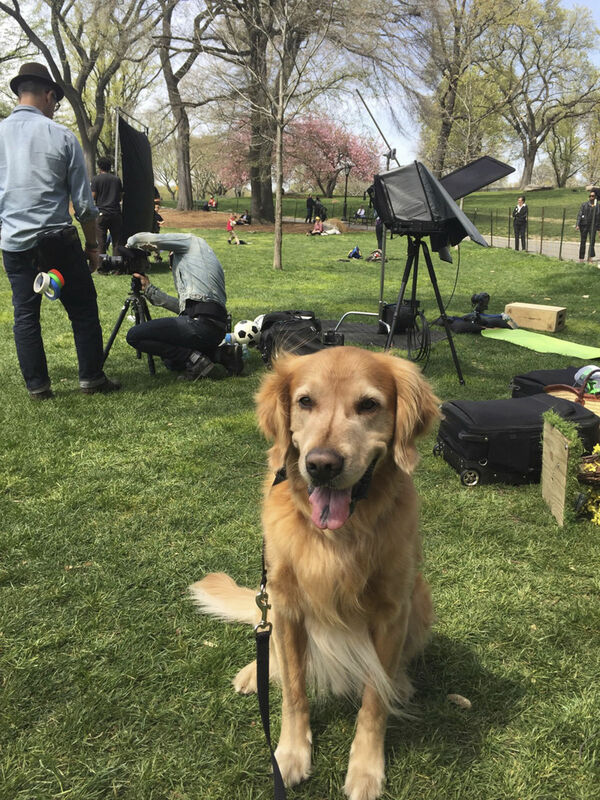 Photo: Christina Potter’s golden retriever, Hudson, on the set of a 2016 advertisement shoot in Central Park, New York. Courtesy of Christina Potter.